Actor Shia LaBeouf attends the premiere of "Man Down" at ArcLight Hollywood on November 30, 2016 in Hollywood, California. Shia LeBeouf's latest stunt is to spend a month isolated in a cabin in Finland's remote Lapland region with his only communication with the outside world coming via text message to visitors to a Helsinki museum. The project is called #ALONETOGETHER and involves the other two members of the actor's art collective, Nastja Ronkko and Luke Turner. Ronkko and Turner are also spending time isolated in separate cabins in Lapland beginning Wednesday. Visitors to the Kiasama museum in Helsinki can visit a cabin and send a text to LaBeouf, Ronkko and Turner, who can respond to visitors but can't talk to one another. The public can view a livestream of museumgoers and the trio's texts on the museum's website. 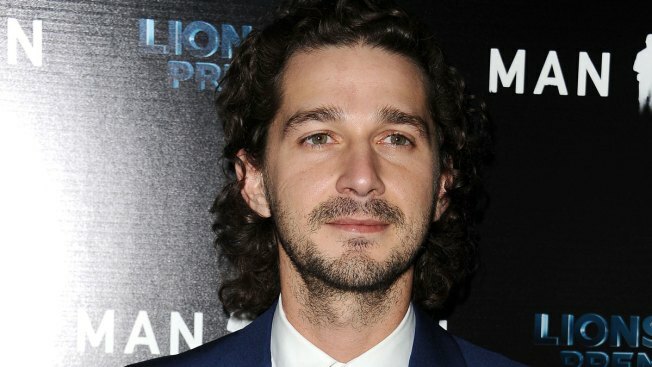 LeBeouf was arrested in January at his anti-Donald Trump livestream in New York. On Inauguration Day, actor Shia LaBeouf led a group of teenagers with the chant: "He will not divide us." Erica Byfield Reports.